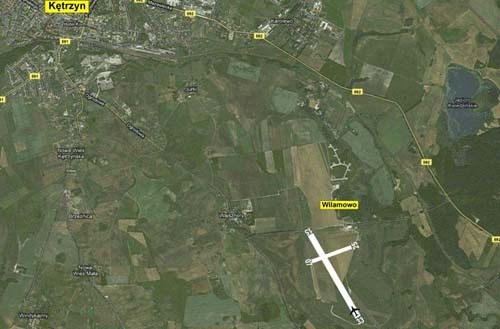 The airport is situated on a plateau, surrounded by numerous fields. There are no significant high obstructions. lakes - resume detailed orientation and return to the aiport while following the road.